Here is a list of best free scientific calculator softwares, These scientific calculator software let you do basic as well as complex calculations easily,These has large catalog of functions. Today, all of us require to perform calculations and complex number crunching, especially if we deal with work that specializes in the science field. 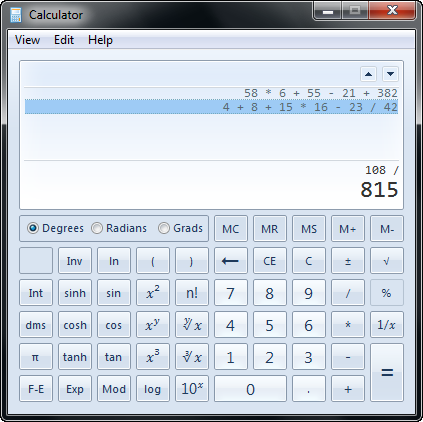 Computers are able to perform these calculations easily, but for those who have complex ones, there is a necessity for the usage of a scientific calculator that can perform advanced operations. These scientific calculators are very helpful for those who perform complex and advanced science calculations, especially engineers and scientists because they can crunch multiple numbers and at the same time do multiple tasks. Having an adept number cruncher is extremely useful to get your work done quickly and they will also be able to provide operations that are sometimes not available on normal scientific calculators. Here is a list of the best scientific calculators for Windows. The Windows 7 Calculator is the version that is available with Windows itself and allows for customers to perform complex mathematical formulae and sums. It is an upgrade from the previous version that was available and has multiple modes such as scientific, programmer and statistical. The Windows 7 calculator has the neat and polished look that is preferred by those who wish to perform simple to little advanced scientific calculations. 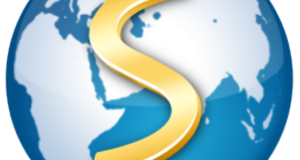 SpeedCrunch is one of the best scientific calculators that is available in the market today and it is preferred by many engineers and scientists because of its simple and ergonomic design as well as effectiveness. There is a list of constants, functions and variables that come along with the math book and there are other features such as angle format, customized result format, behaviour and radix character. 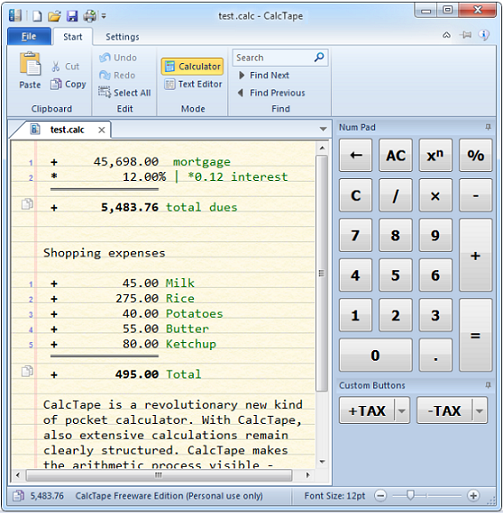 Calctape is another great scientific calculator that has its very own features that set it apart. It has a modern and very Windows compatible look to it and it has drop-down menus that are very analogous to the Windows menus on various applications. It is good for basic scientific calculations because of its no-fuss approach and the work can also be saved as a file. 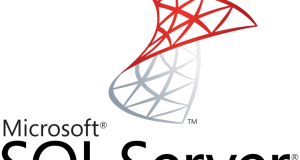 CalcCute is very powerful scientific calculating software that is available for Windows. It is compact and has a small file size and footprint. It has a help option that is not available on other scientific calculators and the tape can be edited live for those who are interested in doing so. 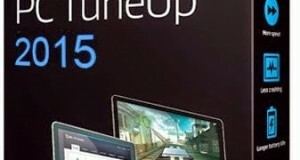 It is a great software that can come in handy for those using notebooks or ultrabooks. 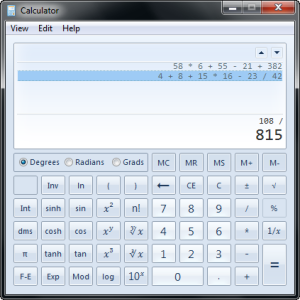 This is one of the best graphic calculators that are available in the market for Windowsand has some great additional features such as a higher resolution, faster speed as compared to other graphic scientific calculators as well as three dimensional graphing that helps to accelerate the crunching in modern computing systems. A great tool for those who deal with calculations that are more visual than the others. Thus, deciding on the best scientific calculator for the Windows may ultimately come down to the type and area of work that you are specializing in. However, most of these software will perform good basic calculation.